If you are searching for Commercial Vehicle Insurance for Couriers in Dallas Texas you have found the right website! Call Pathway Insurance at 1-800-998-0662 when you need better options for Texas Courier Insurance. We offer coverage for vehicles, cargo, workers compensation, health insurance, inland marine for mobile equipment, and any general liability needs you may have a need for seven days per week. Click on Insurance For Couriers Dallas TX to send us your request for a quote on Texas Courier insurance. Agents are available on Saturday and Sunday by using our chat system until 5 PM CST. It’s important to choose the correct coverage if you are a Courier. The below claims scenario illustrates why this is the case. Insurance for Couriers Dallas Texas – Is This Claim Covered? In a previous article that you can read by clicking on Texas Courier Insurance we learned that Rex Howard takes a job with Apex Rapid Delivery Services using his minivan to make a variety of different deliveries for Apex. Apex Rapid Delivery Services requires all drivers to provide their own insurance. Rex assumes that his personal auto policy is sufficient. Unfortunately Rex caused an accident on the highway damaging his minivan and a 2011 BMW while on his way to make a delivery. There were no injuries, but the BMW sustained about $16,000 of damages and Rex’s minivan sustained around $3500 in damages. Rex immediately contacted his insurance company to file a claim. After the subsequent investigation Rex receives a claim denial from his insurance company refusing to pay for the damages to his van or the BMW. In the claim denial letter Rex’s insurance company cites an exclusion in his personal automobile policy that excludes coverage when a policyholder uses their personal vehicle for delivery! We do not provide Liability Coverages for any person for that person’s liability arising out of the ownership or operation of a vehicle while it is being used to carry persons or property for a fee. Rex’s insurance company denied the accident claim because Rex was using his vehicle in a way that was prohibited by his insurance company. How can you avoid a similar situation? Do not assume that your personal automobile insurance policy will cover business-related activities. If you use your personal automobile for any type of commercial activity you face the possibility of claim denials from your insurance company in the event of a claim or accident. Call Us When You Need Dallas Texas Courier Insurance! We can help you find the appropriate coverage to protect you financially. 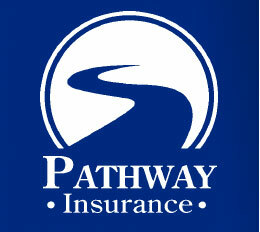 Call Pathway Insurance today at 800-998-0662 when you need Courier insurance in Dallas Texas. If you reach our office after normal business hours please click on Courier Insurance Quotes Texas to submit your information to us online and we will get back with you soon. Cargo Truck Insurance Texas + Primary Auto Liability for Truckers!